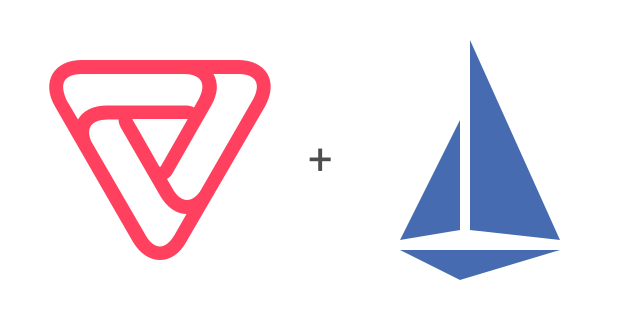 This post is the start of a series of posts about Vamp’s Gateway Agent component and our experiences of adopting Istio for east-west traffic on Kubernetes. Join us as we discuss the architecture, implementation and evolution of this key component of Vamp. At it’s core, the Vamp Gateway Agent is a reverse proxy. In the context of software defined networking, a reverse proxy is a service that forwards requests from multiple clients to servers. The most common use of reverse proxy is to provide load balancing for web applications. With increased adoption of micro-service architectures, the trend has been for companies that manage significant volumes of traffic within their private clouds to build their own reverse proxy solutions. Despite this trend, for most companies, developing their own proxy solutions represents a significant, ongoing and largely unnecessary investment. The gateway agents form a service mesh, a dedicated infrastructure layer for making service-to-service communication safe, fast, and reliable. We use HAProxy to mediate inbound and outbound traffic for all the services in the service mesh. The Vamp service mesh is logically split into a data plane and a control plane. The data plane is composed of a network of intelligent proxies that mediate and control all the network communication between microservices. The data plane is further divided into a service plane and an ingress plane. The service plane is responsible for communication between microservices within a private cloud. The ingress plane is responsible for exposing services at the cloud edge. The control plane is responsible for configuring and managing the proxies, managing traffic control policies and providing a visualisation of the dependencies and flow of traffic between services. This is the simple but essential feature that enables intelligent routing. Canary releases, gradual rollouts and A/B testing all rely on dynamically routing a percentage of traffic to a particular version of a service. Couple weighted traffic management with static routing rules, custom health checks, real-time quantitive analytics (A/B testing, for example) and AI-based anomaly detection and you have one of the cornerstones of Vamp’s real-time, policy-based BizDevOps tools. That’s all for this post! In the future, look out for further posts on Kubernetes, analytics-driven DevOps and our Istio journey.